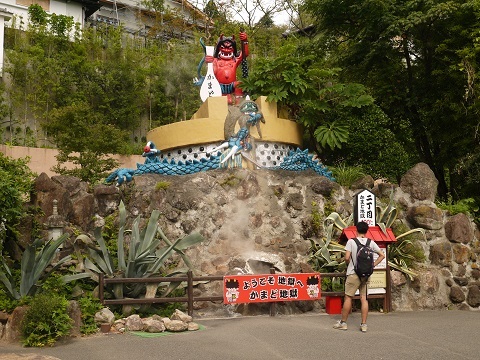 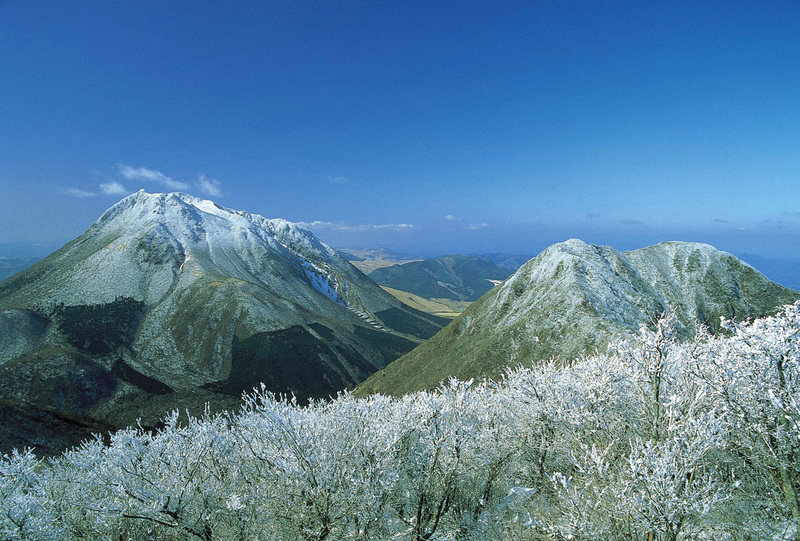 Oniyama-jigoku(Hell of Ogre Mountains ) and Kamado-jigoku(Hell of Furnace), each of which has its own characteristic. 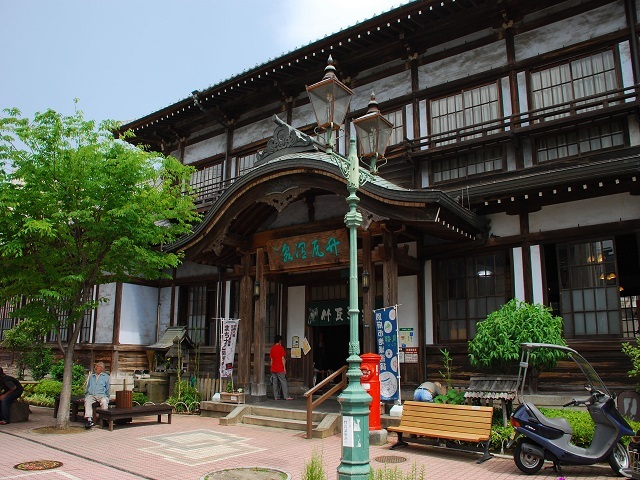 The use of a free bus ticket will be convenient. 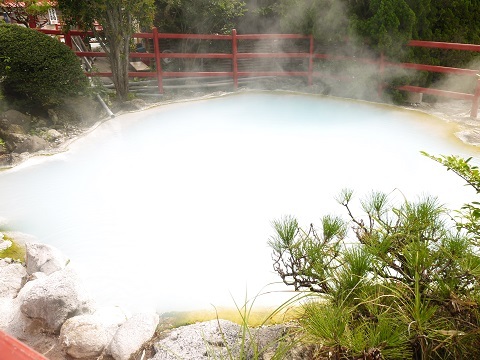 Among the hells, the Hell of Blood and the Hell of Tornado are a little far away while others gather together. 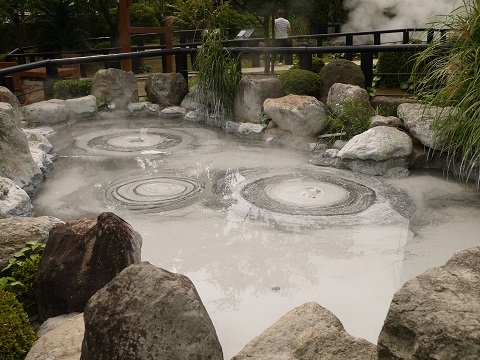 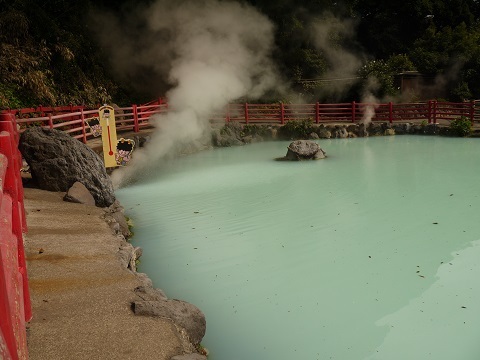 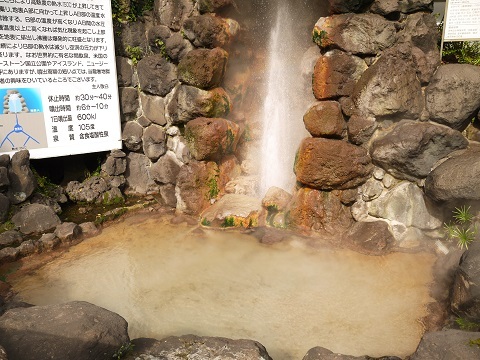 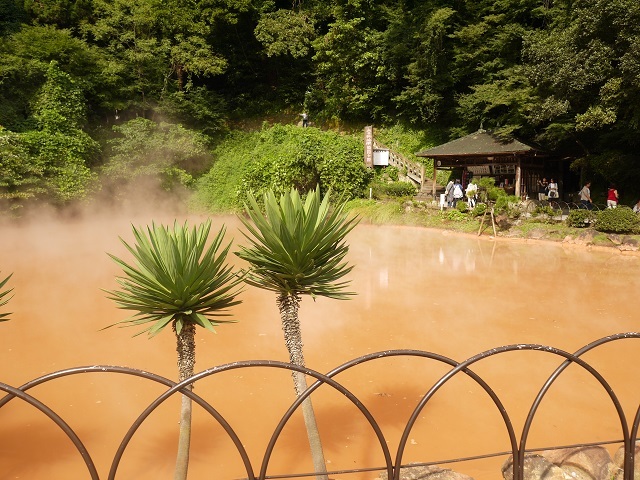 It takes about 3 hours go round even two hot springs. 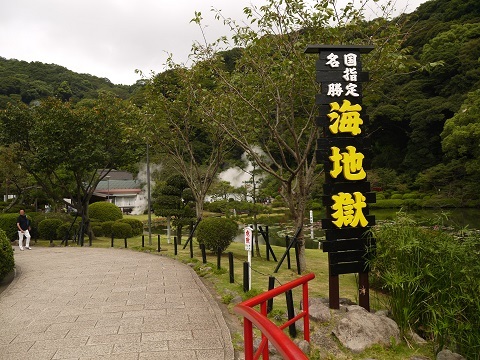 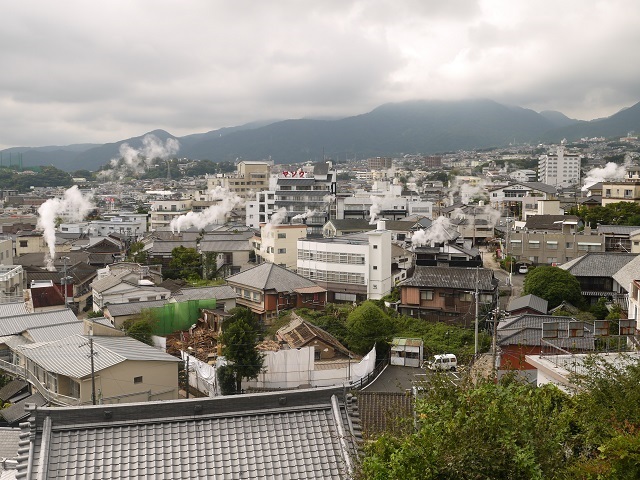 15 minutes from Beppu Station.